A new spin-off manga to the Mushoku Tensei: Jobless Reincarnation manga, light novels, and anime! Roxy’s life is a lonely one–out of all her tribe, she’s the only one without the power of telepathy. Her days pass in silence, while people speak words she can never hear. But when she saves the life of a wandering witch, Roxy gets the chance of a lifetime: the opportunity to study as a magician’s apprentice, and leave her strange home behind! 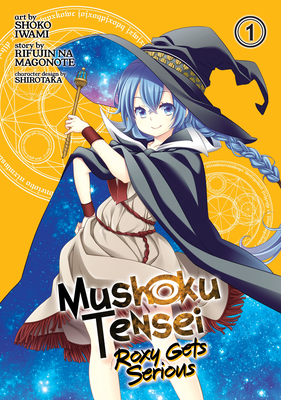 Don’t miss this brand-new tale in the Mushoku Tensei universe: the journey of Roxy, fated to be a star among magicians!